Brazilian President Jair Bolsonaro also promised his own form of a New Deal—except this one involves neoliberal shock economics and a rupture with traditional politics. Late in January, the government published a bold list of goals for its first 100 days, including the formal independence of the Central Bank, a national literacy program, new anti-crime legislation—and, of course, a pension reform. 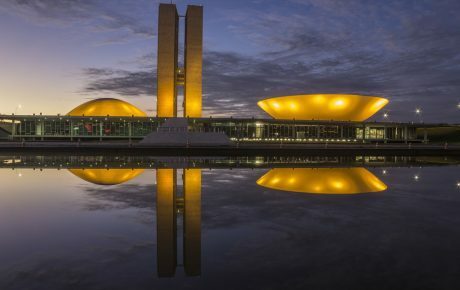 But the general feeling in Brasília is that, as we approach the three-month mark, the government has yet to actually start work. The president has spent the last week trading digs with House Speaker Rodrigo Maia, one of the most fervent defenders of pension reform. Mr. Maia has not been spared by the most faithful Bolsonaro supporters—and has been at the receiving end of social media attacks by Carlos Bolsonaro, the president’s son and internet berserker. During the weekend, Mr. Maia all but declared his split from the government. First, he said he would no longer pilot negotiations around the reform, and that the president cannot outsource his job as a political leader. Mr. Maia then flew to São Paulo to gather the support of Governor João Doria—a presidential hopeful and a possible competitor of Mr. Bolsonaro in 2022. 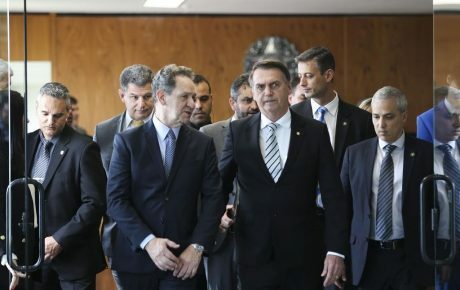 Mr. Maia reportedly said the pension reform “is above [Mr. Bolsonaro’s] administration,” and that it would pass in spite of the president (who told supporters he is, in principle, against the reform). Then, Mr. Doria said Economy Minister Paulo Guedes “must be shielded” from the political crisis. 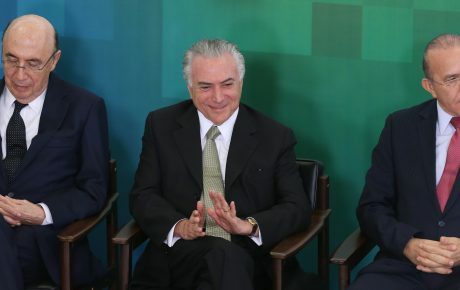 Both Mr. Maia and Mr. Doria are deeply connected to big business, and their change of tone suggests that, should the business class be forced to choose between defending the president or backing Mr. Guedes’ liberal agenda, it would go for the latter. Mr. Bolsonaro’s congressional problems are by no means limited to his relationship with the Speaker. Even his own party seems to be disgruntled with the government’s lack of direction. 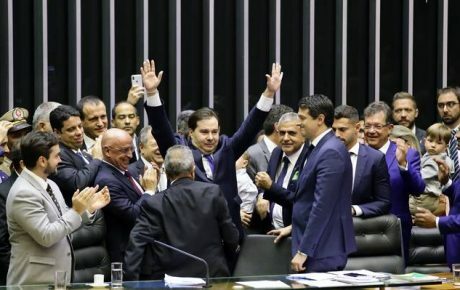 Lower house members of Jair Bolsonaro’s Social Liberal Party (PSL) will meet on Wednesday to decide how to position themselves regarding the government. The general feeling is that they defend the administration, but are not getting anything in return. They want to send a message that either the president changes his demeanor, or they will jump ship. This latest threat comes after congressional evangelicals—which offered crucial support during the campaign—declared their “independence” from the administration—and they were not the only ones. Disgruntled party leaders plan to deliver the government a defeat by repealing the decree which lifts visa requirement to tourists from the U.S., Canada, Australia, and Japan. Speaker Rodrigo Maia denies this, but the vote will be a measure of how damaged Congress’ relationship with the government already is. With the president losing political capital, Congress occupies this vacuum, becoming stronger and more demanding. 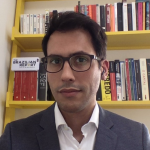 If the president is unable to strike a compromise and develop a relationship with Congress, there is the risk the legislature may definitively turn on him, something we have seen as recently as 2016, when Congress ousted former president Dilma Rousseff. And while the president is taking hits from all sides, Vice President Hamilton Mourão seems to be all about making allies. Over these past three months, he has followed an intense schedule of meetings with foreign ambassadors, big business, and even trade unions. His day-to-day commitments appear to be more statesmanlike than those of the president. Tomorrow, he will attend an event at the Federation of Industries of São Paulo (FIESP). The group represents some of the country’s most important businessmen and has spared no expense in trying to influence the political arena in recent years. 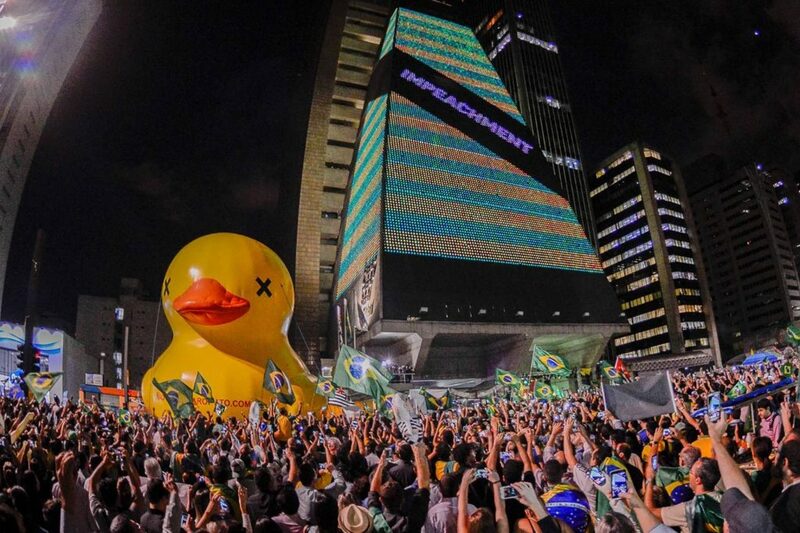 FIESP was one of the main forces behind the aforementioned impeachment of Dilma Rousseff. When talking about his spats with Mr. Maia, President Bolsonaro blamed “old politics.” He said he had already done his part in presenting the pension reform bill to Congress—and that he wouldn’t engage in the horse trading that has poisoned Brazilian politics. “What is political liaison? What am I not doing? I won’t follow the same path other presidents have,” he said in reference to former presidents Michel Temer and Lula—both of whom are arrested for corruption. 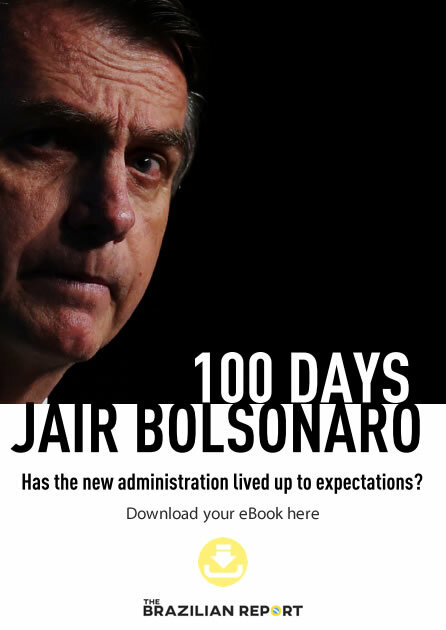 But perhaps Mr. Bolsonaro should also try to avoid having the same fate as the other two presidents elected before him, Fernando Collor and Dilma Rousseff. Both started off with high levels of popularity—which made them think they could bend Congress to their will. Both ended up being impeached. On Twitter, former President Fernando Henrique Cardoso wrote that “a president who doesn’t understand Congress’ strength could be ousted.” It is perhaps too soon to be having this kind of conversation, but no president has survived after losing support in Congress and among business elites.